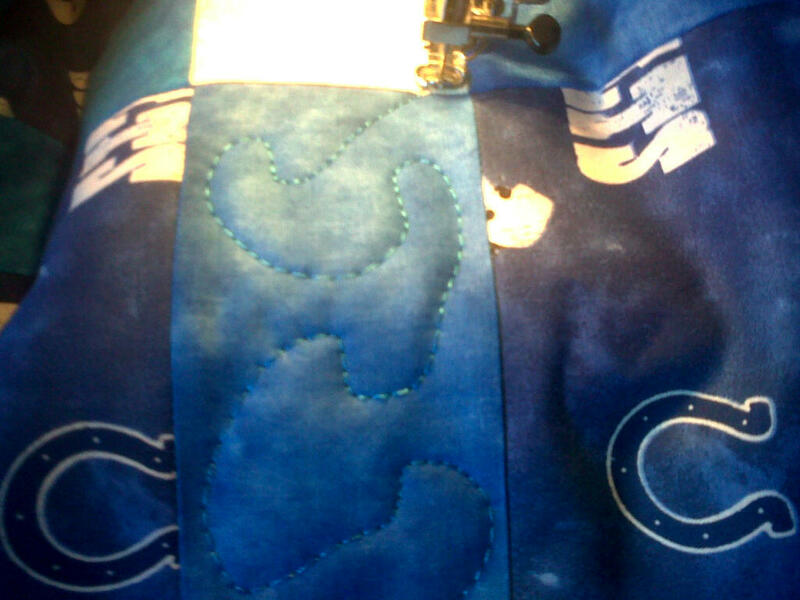 Now That I sewed at work all day and made that lovely Throw Pillow, I am at home working on this Colts Quilt. I’m beyond late with this, but I’m giving a 20% refund for being a week late. The fabric was stuck in Florida during that snow storm, and then my life got hectic. Oy vey! Glad things are beginning to calm down. So, if you will excuse me, I have something to quilt!